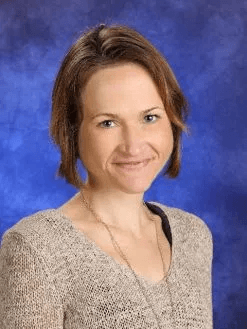 This is a guest post by Becky Versteeg who is a Grade Two teacher from Listowel, Ontario, Canada​. 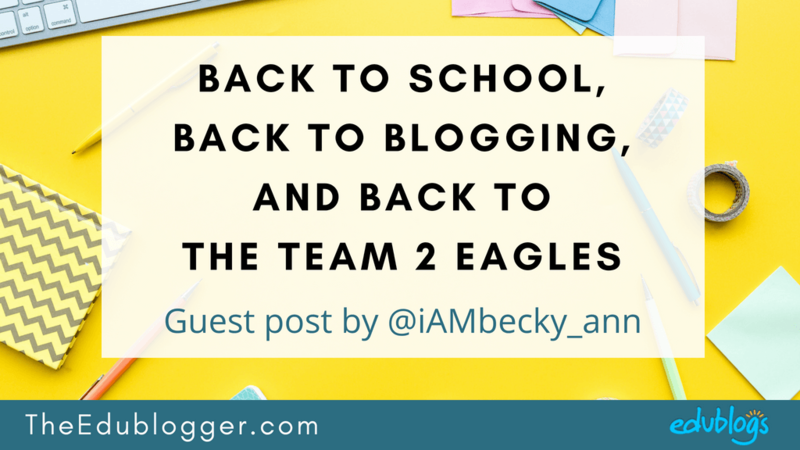 Becky’s inspiring class blog is called Team 2 Eagles. Her 6 and 7 year old students also have their own blogs. Students blog on their iPads using the Edublogs website. You can read more of Becky’s story in a case study on The Edublogger about blogging with young students. In this post, Becky shares many new tips and insights on using My Class and launching a blogging program to a new cohort of students. In Ontario, the school year starts the day after Labour Day, which means that September 4 is day one. One thing that I’m looking forward to most about the start of school is documenting another year of learning on the Team 2 Eagles blog. 2) How do you set up your class and introduce the students to blogging? 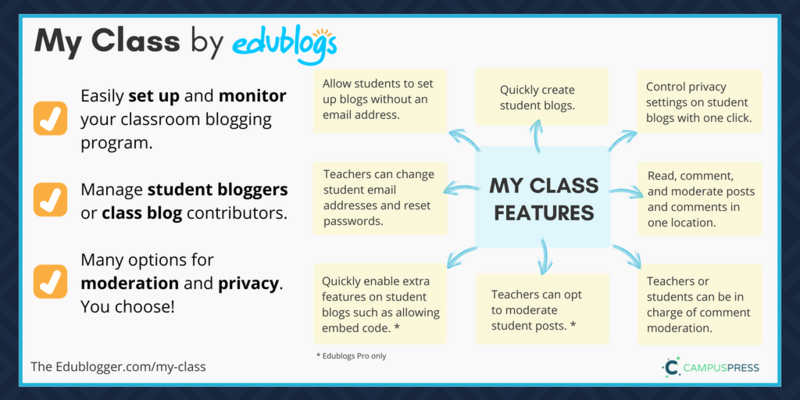 3) Why did features like My Class make you choose Edublogs? My blog is hosted on CampusPress which is the sister service of Edublogs that’s designed for entire schools, districts, or universities. Rather than the .edublogs.org URL, we have our own branding and have access to some premium features. My district, the Avon-Maitland District School Board has had their own CampusPress network since 2013, so the URL edublog.amdsb.ca indicates that my blog is part of this Avon-Maitland CampusPress network (.ca stands for Canada). I start the year by posting on the class blog and teaching students about the features of blogging and commenting. Here’s an example of the first post on the class blog from the 2017-2018 school year. This was the second post of the school year. Because my district hosts their own CampusPress network, it means that any new student blog I’ve “created” has in fact been generated by my employer after I submit confirmation that I have received and filed specific “amdsb” classroom blogging consent forms. This sounds like a lot when I write it down, but it makes set up easy. New student blog usernames, URLs, and passwords are sent to me in spreadsheet format. If you are creating a class set of blogs on your own, I encourage you to be as consistent as you can with these. My student usernames are always eight letters and three numbers — a specifically ordered combination of characters taken from student first last and names, and their school registration ID. URLs always start like the class blog and end with myblogfirstnameID#. I’ve also found it helpful to have passwords follow a pattern — perhaps you could try the calendar year and an animal, or food that begins with the same letter as their name. This organization system means that as long as I can remember what year I created the blog, I can log in to any current or former student blog without looking anything up. All I have to do is memorize a simple pattern. 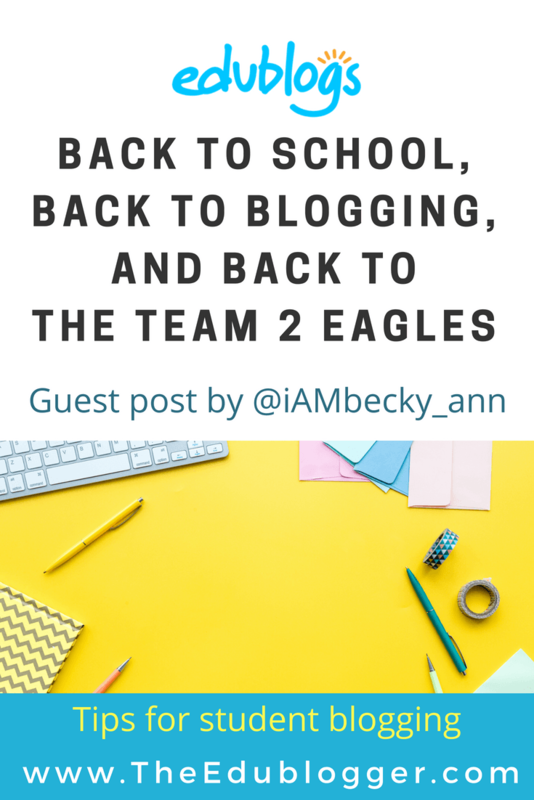 When I determine that my new students are ready for the responsibility of their own blogs, all they need to do is log in and request to join the team2eagles! Getting students ready for the responsibility of having their own blog takes less time every year. This has more to do with the fact that each new class starts with stronger digital literacy than it does with my approach to teaching. Before I learned about blogging, I always ended the school day with a class meeting to consolidate and reflect on what was learned. I discovered that if I use this time to blog, the only change for me as a teacher is that my modeled notes look a little different and I have a bigger audience to share with. During daily consolidation time, my blog dashboard is completely visible on the interactive whiteboard. I narrate everything I do, and by the time I give students access to their own blog for writing, there are usually very few who need any help at all. In the first week of school, I assume the students have had no exposure to blogging so I start by reviewing things they already know about writing at school: titles, sentence structure, spaces, punctuation, etc. Next, we talk about publishing writing at school — making a draft, editing, writing a good copy, and handing it in to the teacher. Because if they can do these things, they have everything they need to blog and they just need to learn what a few buttons mean and why. TIP: Make sure students understand that published blog pieces are much like when school writing is displayed in the hall; it has your name on it and the principal can see it! The username/password discussion is a quick one these days. Students are familiar with passwords from their digital lives. And at this point, they understand that writing on a school blog is just like writing on a school paper. You must do your own work and put your name and date on it. They’ve also watched me write in front of them often enough that they are used to hearing me point out that all I have to do is remember to log in; I can skip the name and date part. That motivates ALL of them since I am a stickler for names and dates! The first several posts on my students’ blogs are assigned, simple, and specific. They involve a common topic, a photo they are required to take and insert independently, and a little of their own writing. The reason for the photo is that I’ve found it beneficial to not be particularly fussy about accuracy or content of typed text initially. Instead, I am fussy about doing a few basic photography lessons so that students can begin to include clear photos of what they accomplished in their notebook until they are more confident about their keyboarding skills. In my class, students learn that blogging is almost the same as all other school writing. submit means hand it in! 3) Why did features like My Class make you choose Edublogs/CampusPress? I stay somewhat current with activities on assorted blogging platforms simply because I always take a minute to research the host when I see a classroom blog I like (Blogger, Google Sites, Wix, etc.). What I’ve concluded is that any feature I’ve learned or used from blogging on this platform appears to be available and transferable to other places. It’s not always as simple going the other way though – Edublogs has goodies that are tailored to teachers! Certain Edublogs/CampusPress features keep me returning this platform every year. And these certain features get better every year. For example, a recent post on The Edublogger detailed new and existing features in MyClass. 1. The class Reader. This is similar to a Facebook feed except that my “friends” are my students. It combines every piece published in my classroom in reverse chronological order. I can quickly give individual feedback to each student about what they wrote without opening all 20 sites. Seeing the work as a set lets me quickly identify common next steps for small and large group lessons. It also lets me select examples to use as teaching pieces with a class. 2. Easy moderation. I can approve any new student posts or comments just as quickly by sorting “pending” in the Reader. 3. Simple settings. I can adjust certain permissions and features as a whole class rather than individually. I collected my thoughts for this post in response to the recent post on The Edublogger about student blogging. The colleague I piloted blogging with in my jurisdiction has moved on to bigger things, making me the “local expert”. One is just my own experimenting. The more I blog, the better I get. I learn more about what works for me and why. The second source, the one I refer everyone to, is The Edublogger and the Edublogs Help Guides. If I can’t figure something out, or if someone asks me a specific question that I know they’ve addressed, that’s where I go. Failing that, I’ve found the Edublogs support team are only an email away and work around the clock! I’m looking forward to launching my new blogging program and I hope these insights help you if you’re considering starting blogging too. Feel free to leave a comment if you have any further questions! as a younger child i would have loved that, so i agree. I love the idea of your 2nd-graders blogging. You made everything sound easy and manageable. You are right, to be comfortable in blogging I need to experiment and blog several times until I get comfortable. Thank you for your blog.